The Disability Discrimination Act is an act passed by the Parliament of Australia in which prohibits discrimination against people with disabilities in employment, education, publicly-available premises, provision of goods and services, accommodation, clubs and associations, and other contexts. Discrimination is defined to include failing to make reasonable adjustments for the person. Complaints made under the Act are made to the Australian Human Rights Commission. Implement the Australian Government’s obligations as a signatory to international declarations on the rights of people with disabilities. Enable regulation of discriminatory practices of Commonwealth authorities. In 2004, the findings of the Productivity Commission's enquiry into the Act were published. The Commission found that while there was still room for improvement, particularly in reducing discrimination in employment, overall the Act had been reasonably effective. In addition, the Commission found that people with a disability were still less likely than other people to finish school, have a TAFE or university qualification, and be employed. They are more likely to have a below average income, be on a pension, live in public housing and in prison. The average personal income for people with a disability is 44 per cent of the income of other Australians. This case, brought by Bruce Maguire, concerned the website of the Sydney 2000 Olympics, and the inability of those with vision impairments to efficiently use the website. In its decision, the Commission found that the Sydney Organising Committee for the Olympic Games (SOCOG) had discriminated against the complainant in contravention of s 24 of the Act, "in that the web site does not include ALT text on all images and image maps links, the Index to Sports cannot be accessed from the Schedule page and the Results Tables provided during the Games on the web site will remain inaccessible." The Commission also dismissed SOCOG's claim that modifying its website to meet the requirements would cause it unjustifiable hardship and established that such hardship cannot be used to avoid liability for breaching s 24 of the Act. SOCOG was ordered to render the website accessible by 15 September 2000. 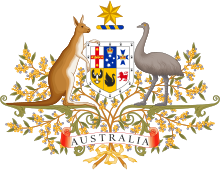 ^ "Review of the Disability Discrimination Act 1992", 30 April 2004, Productivity Commission. Inquiry report into the DDA by the Productivity Commission, published 14 July 2004.